The Razer Blade 15 fits a GeForce GTX 1070 Max-Q and 8th gen Core i7 inside its tiny shell. 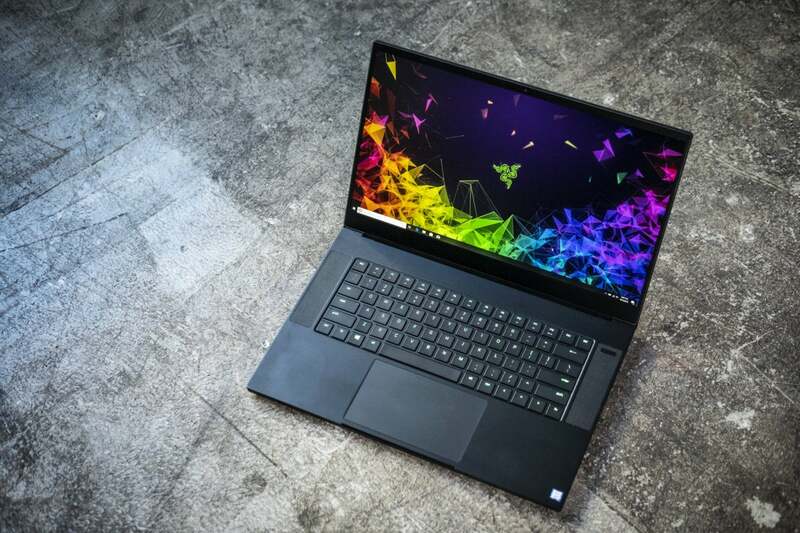 Claiming to be the "smallest 15-inch gaming laptop," the redesigned Razer Blade 15 likely makes good on that promise by being nearly as small as, say, the popular workhorse Dell XPS 15, while offering blistering gaming performance. 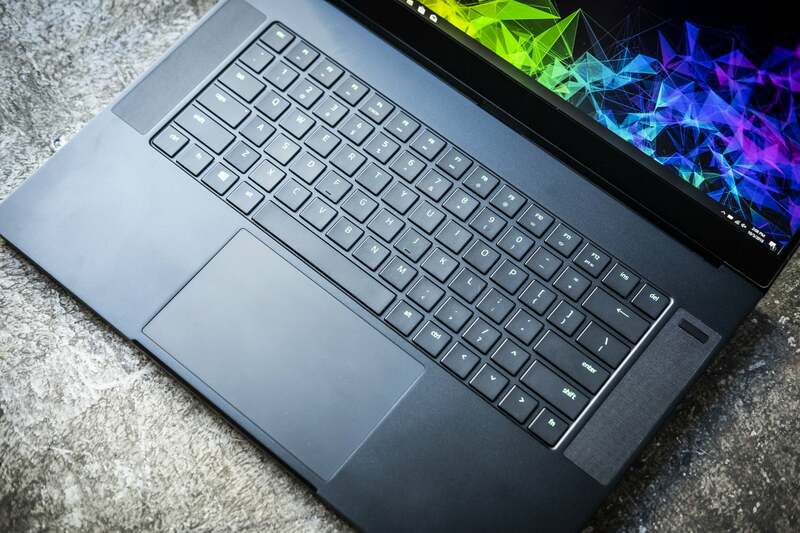 The previous-generation Razer Blade 14 had rounded corners, huge bezels and sported a 14-inch screen. Despite having a bigger display and faster parts inside, the Razer Blade 15 is almost the same size as the 14-inch unit it supplants. The Razer Blade 15 measures in at 14 inches wide by 9.3 inches deep and 0.69-inch thick. Razer's thickness figure excludes the rubber feet on the bottom, which make it about 0.8-inch tall. Though the Razer Blade 15 is small, it's certainly not light: just shy of 4.6 pounds for the laptop itself. Toss in the 230-watt brick required for GTX 1070 Max-Q and you push the weight up to 6.3 pounds. The Razer Blade 15's keyboard is fair, but its per key backlighting is outstanding. Fit and finish has always been Razer's strong point on its laptops, and we see the same with the new Razer Blade 15. Pick up the Razer Blade 15. Run your hands along its cold aluminum frame and try to flex it. Just try. You get the general impression that it's really a well-built laptop. 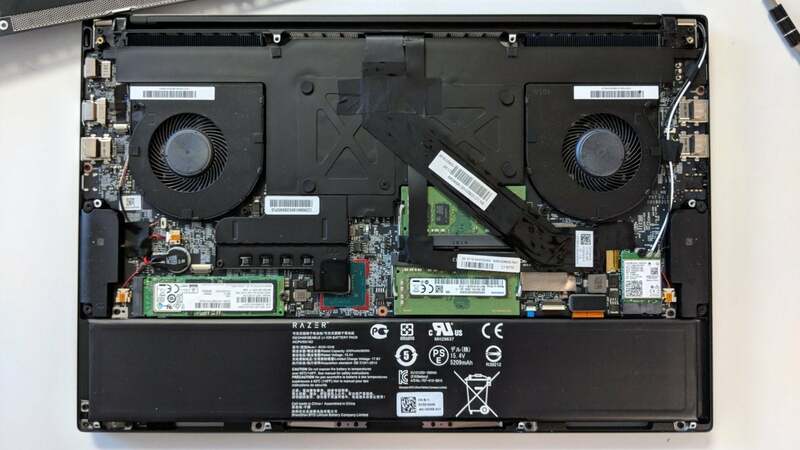 While thin gaming laptops don't have the upgrade options of the big ones, we do like to see just how easy it is to add or upgrade components. After removing what feels like 900 Torx screws (It's more like 10) from the Razer Blade 15, it's a snap to remove the bottom. Inside, the M.2 SSD is the easiest to remove. Memory is also accessible once you move a few cables out of the way. The last part you could potentially change is the wireless module. Overall, we'd give it a solid B on upgrades. The new Razer Blade 15 includes a vapor chamber design rather than traditional heat pipes to keep its Core i7-8750H and GeForce GTX 1070 Max-Q cool. The RAM and M.2 drive are also fairly easy to upgrade too. The Razer Blade 15 features a dome keyboard with per-key lighting that is simply gorgeous and bright. One negative: Only part of the key cap is lighted. Like most gaming keyboards, Razer inverts the shifted modes (The 1 is on top, while the ! is on the bottom, for example), and only the 1 is backlit. That's good if you're hunting for the 1 in a dim room, but if you want the exclamation point, you'll need more light. The action on the keys is decent. The trackpad is fairly smooth (but not glass-smooth). It's a Microsoft Precision Touchpad-compliant device. 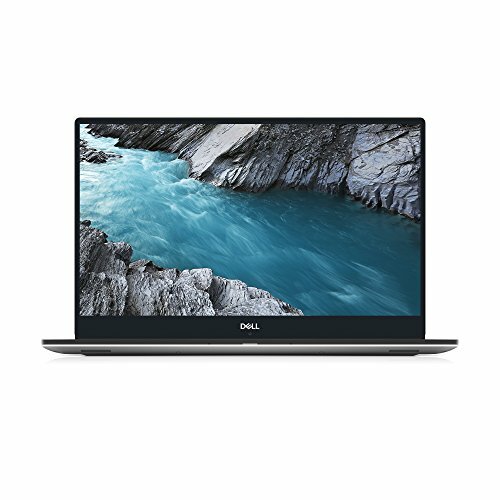 That basically means scrolling, gestures, and mouse movements are smoother than what you may have experienced five years ago. The left side of the laptop gives you two more USB Type-A ports, an analog headset port, and a rather unusual port for powering the laptop. 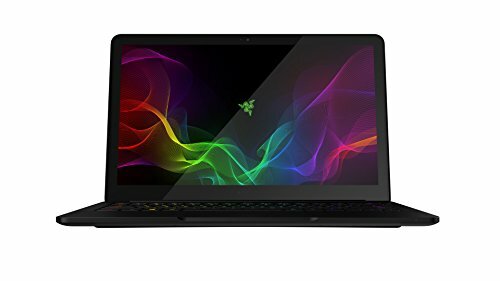 For port selection, it is a bummer the laptop doesn't have a Gigabit Ethernet port while the new, lower cost Razer Blade Stealth does. The funky port on the far left is the proprietary power plug for the laptop. 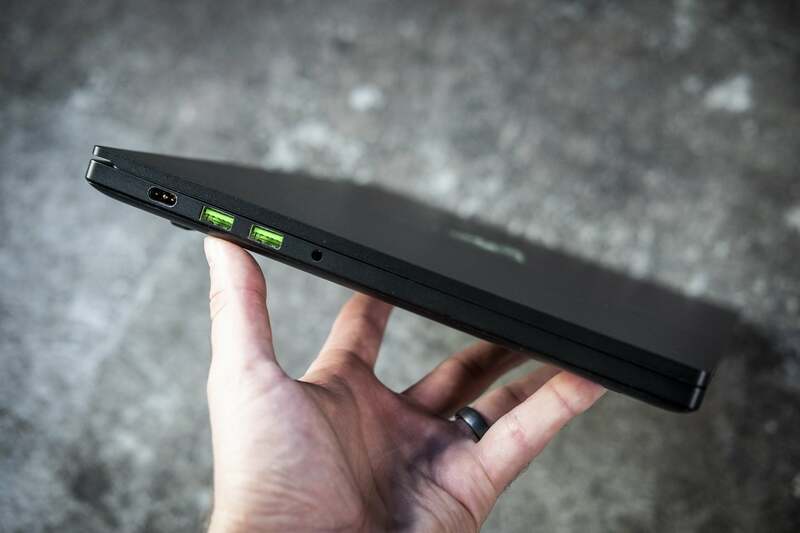 While most laptops use round plugs, the Razer Blade 15 uses an oval plug that's angled. 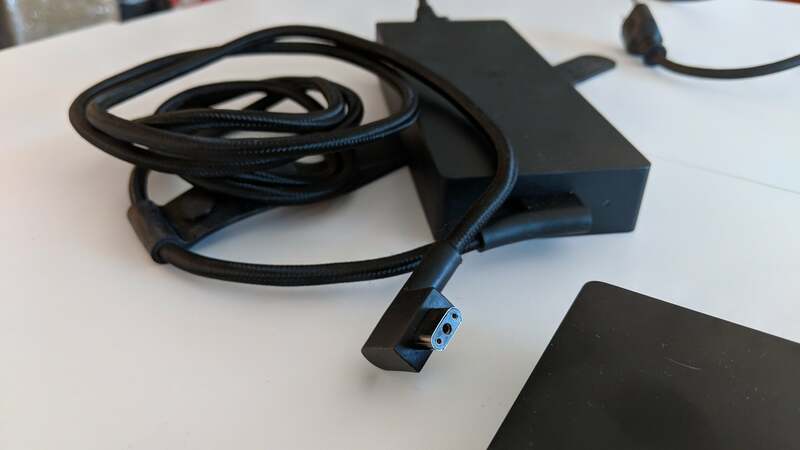 This may sound odd, but it lets you angle the power cable to the rear of the laptop to keep it from tangling with your Type A ports, which is where most will plug in their mice while gaming. Unfortunately, the power brick seems to have developed a poor reputation. While we had zero issues with ours, several owners have reported failures of the power brick and difficulty obtaining replacements. Razer officials told us the problem likely is limited to a small number of early units and said the warranty will cover issues. 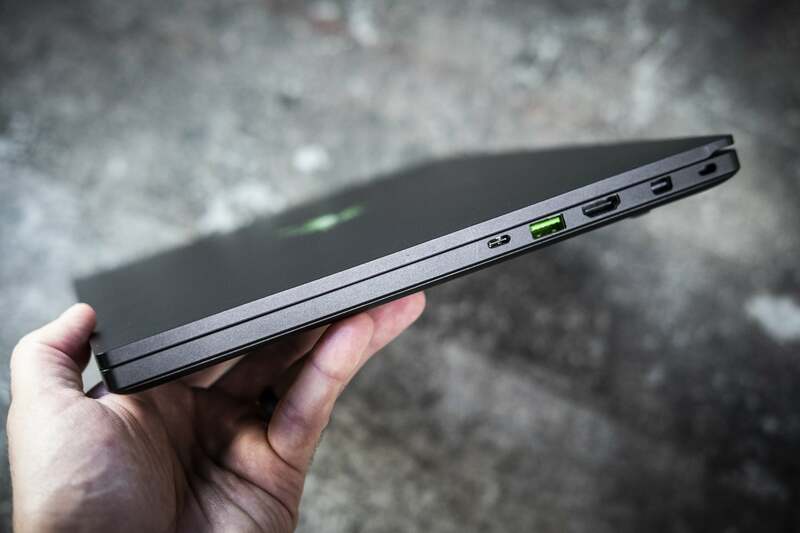 The Razer Blade 15 features braiding on it power brick cable and an unusual, angled oval plug. It's all about the performance, so keep reading to see how it fares.